This product is discontinued. See the new version of the LabQuest Charge Station. 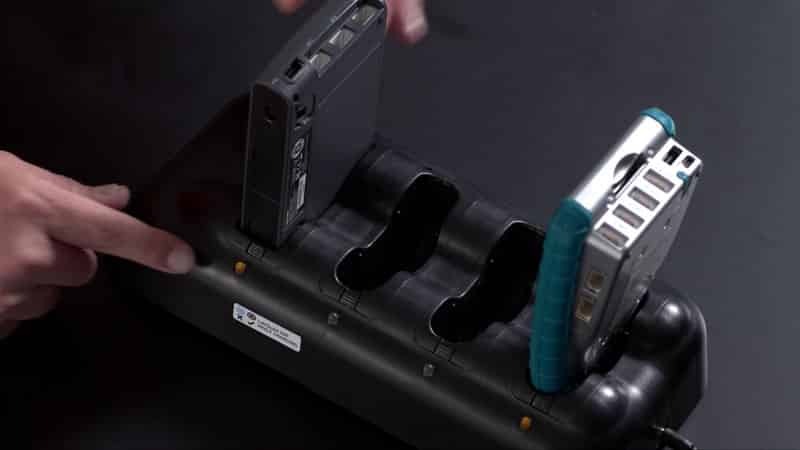 Easily charge and store your Original LabQuest, LabQuest 2, and LabQuest Stream interfaces with the Original LabQuest Chargeg Station. Its compact size and multi-bay charging capabilities keep your interfaces organized and fully charged so they are ready when you are. Each LabQuest Charge Station shipped after mid-April 2012 includes four inserts for the original LabQuest and four inserts for LabQuest 2 and LabQuest Stream. LabQuest Charge Stations shipped between October 2011 and mid-April 2012 included removable inserts for the original LabQuest only. If you want to use this LabQuest Charge Station with LabQuest 2 or LabQuest Stream, you will need to purchase LabQuest 2 Charge Station Insert (Set of 4). LabQuest Charge Stations shipped before October 2011 do not have removable inserts and cannot be used with LabQuest 2 or LabQuest Stream interfaces. You will need to purchase the LabQuest Charge Station. For more information, see Will my LabQuest Charge Station also work with the LabQuest 2 and LabQuest Stream?